Solar PV systems are not massively expensive, despite what you have heard. In fact, there is an energy revolution happening as you read this. Solar power costs are falling so fast the technology is likely to exceed mainstream energy forecasts. This is worldwide. Oxford University researchers reveal a new forecasting model published in Research Policy that states that since the 1980s solar panels have become 10% cheaper each year, and that this trend is likely to continue. And it has, the price of US solar power has dropped a whopping 70% since 2009, even as panels get more technically advanced. The market for solar is evidently expanding, even in South Africa where solar panels were once exclusive to the roofs of affluent houses. This change is driven by three factors: the worldwide drive towards renewable energy, a highly strained local electricity supply, and a steady drop in solar panel prices, according to the Mail & Guardian. In the last few years the defining development in solar energy has been the sharp drop in the prices of photovoltaic panels. The PV market is said to be growing globally at an annual rate of 35 to 40%. This is a pace so rapid that it has quadrupled the US’s solar capacity in the past four years alone, from 2 326 MW in 2010 to 12 057 MW in February 2014, a remarkable 418% increase. According to the Global Solar Power Market Report, Africa, which has benefited greatly from a radical decrease in the cost of installed solar PV, has also seen significantly increased investment in renewable-energy projects, especially Solar PV. South Africa is currently ready to install between 3 000 to 4 000 MW of solar PV projects through the country’s Renewable Energy Independent Power Producer Programme (REIPPP). In fact, it is expected that solar PV will be the cheapest energy-generating technology in South Africa by 2020, after reaching price parity with coal in 2018. The truth is Eskom is not doing SA any favors; their limited capacity has not only had negative implications on the price of electricity, but also inhibits the growth of businesses and, ultimately, the economy. The growth of the solar industry on the other hand illustrates South Africa’s growing potential to harness enormous amounts of solar energy that can make important contributions to the energy sector, businesses, society and the economy. Solar power already feeds more than 1MW onto the grid on a sunny day. This is a significant amount, and it makes it considerably less likely that the country will suffer power cuts in the years ahead. Now is a better time than ever to own a solar PV system, reducing energy costs, saving the environment and driving this energy revolution forward. This is the most effective system starting at around R50 000. 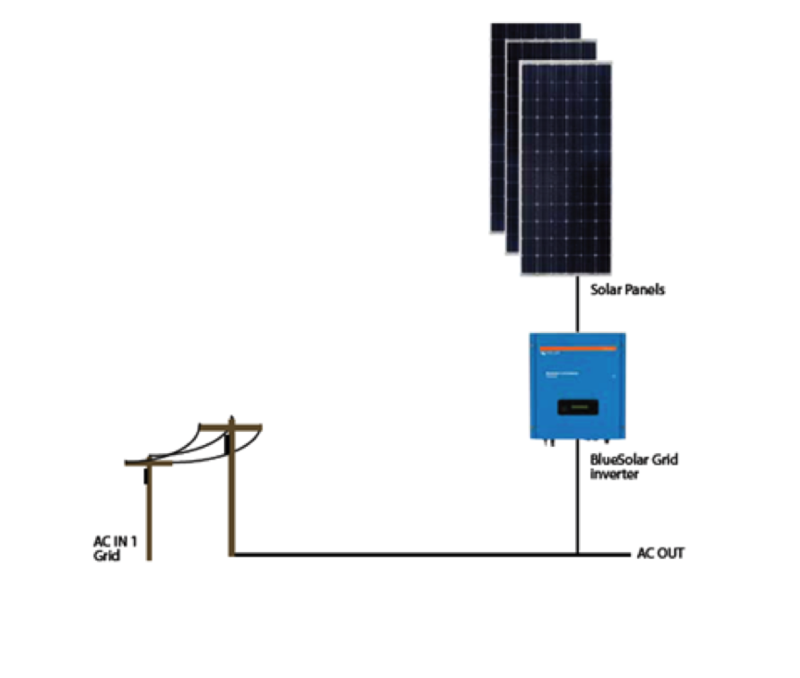 It is a grid-connected system primarily for cost saving. 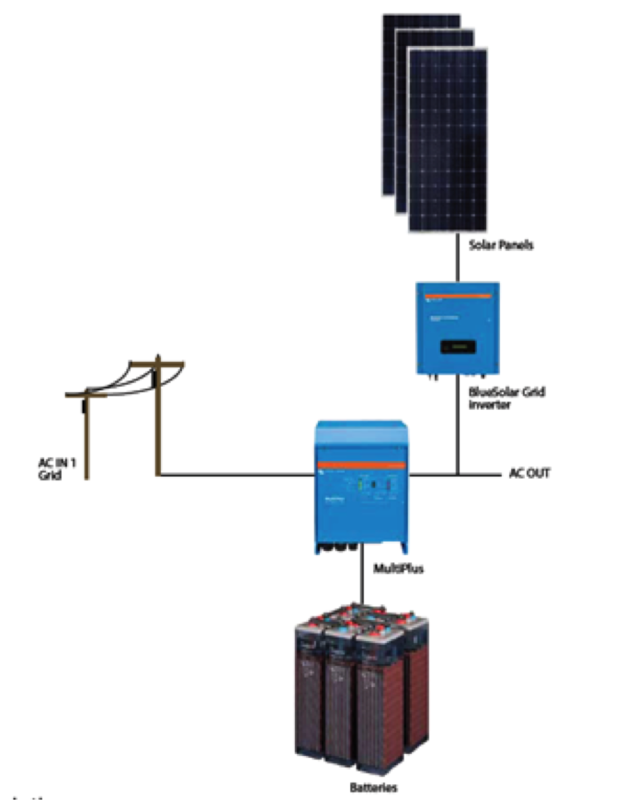 Multi-hybrid systems offer the advantages of both island and grid connected systems.